I recently was tasked with deploying two Fortinet FortiGate firewalls in Azure in a highly available active/active model. 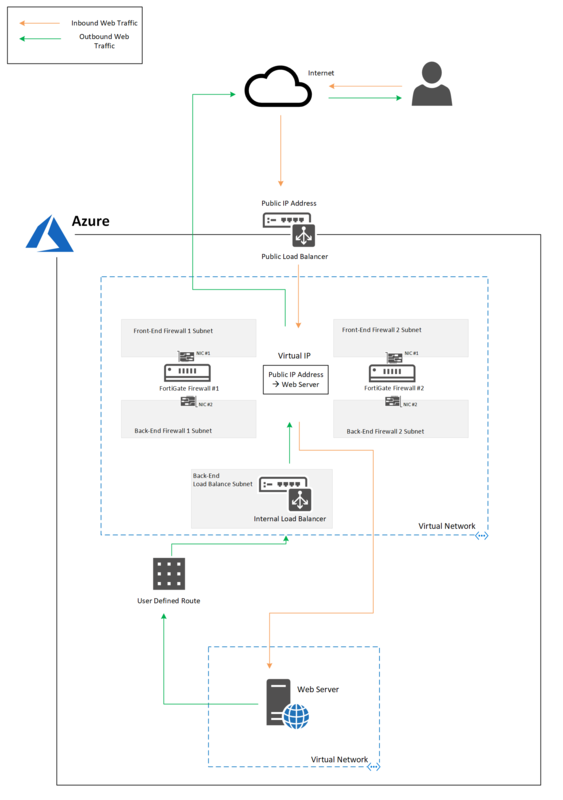 I quickly discovered that there is currently only two deployment types available in the Azure marketplace, a single VM deployment and a high availability deployment (which is an active/passive model and wasn’t what I was after). I did some digging around on the Fortinet support sites and discovered that to you can achieve an active/active model in Azure using dual load balancers (a public and internal Azure load balancer) as indicated in this Fortinet document: https://www.fortinet.com/content/dam/fortinet/assets/deployment-guides/dg-fortigate-high-availability-azure.pdf. 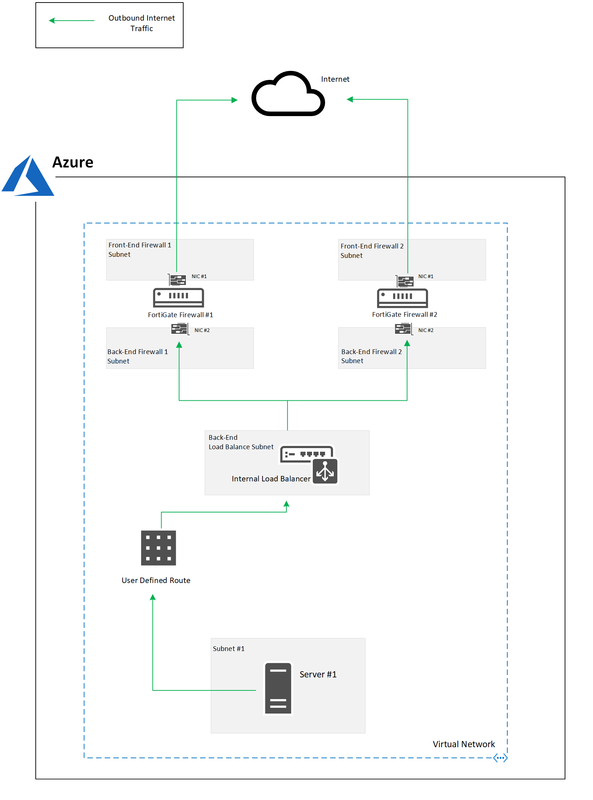 To achieve an active/active model you must deploy two separate FortiGate’s using the single VM deployment option and then deploy the Azure load balancers separately. I will not be going through how to deploy the FortiGate’s and required VNets, subnets, route tables, etc. as that information can be found here on Fortinet’s support site: http://cookbook.fortinet.com/deploying-fortigate-azure/. NOTE: When deploying each FortiGate ensure they are deployed into different frontend and backend subnets, otherwise the route tables will end up routing all traffic to one FortiGate. Once you have two FortiGate’s, a public load balancer and an internal load balancer deployed in Azure you are ready to configure the FortiGate’s. 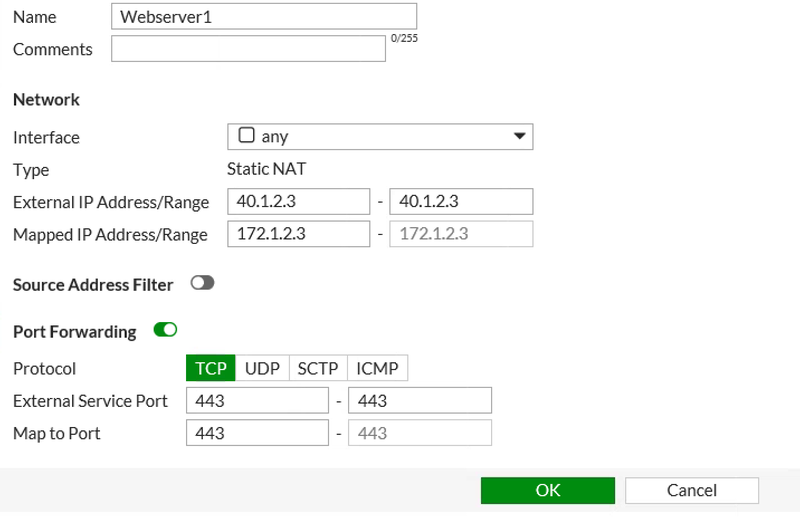 NOTE: Before proceeding ensure you have configured static routes for all your Azure subnets on each FortiGate otherwise the FortiGate’s will not be able to route Azure traffic correctly. 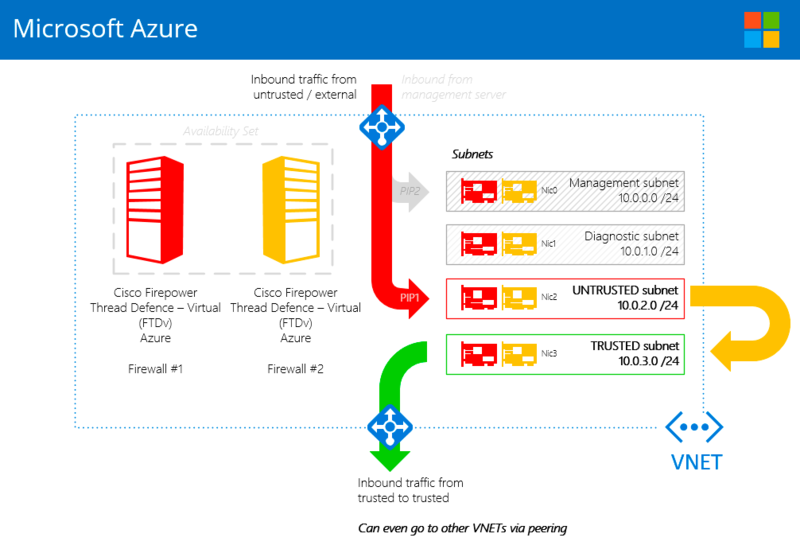 To direct all internet traffic from Azure via the FortiGate’s will require some configuration on the Azure internal load balancer and a user defined route. IMPORTANT: In order for the load balance rules to work you must add a static route on each FortiGate for IP address: 168.63.129.16. 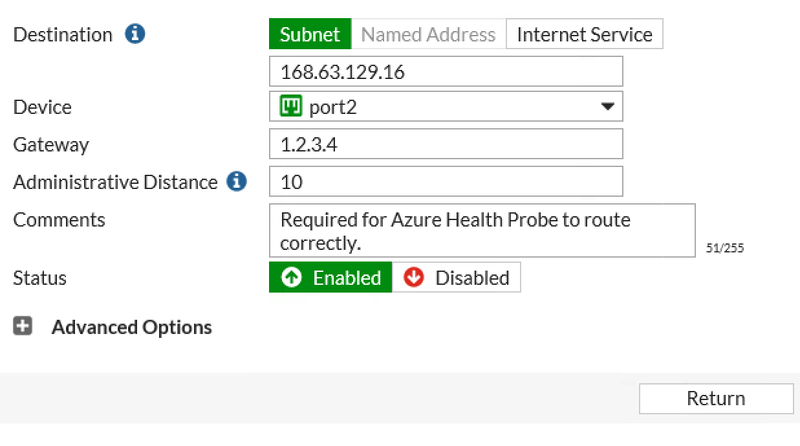 This is required for the Azure health probe to communicate with the FortiGate’s and perform health checks. 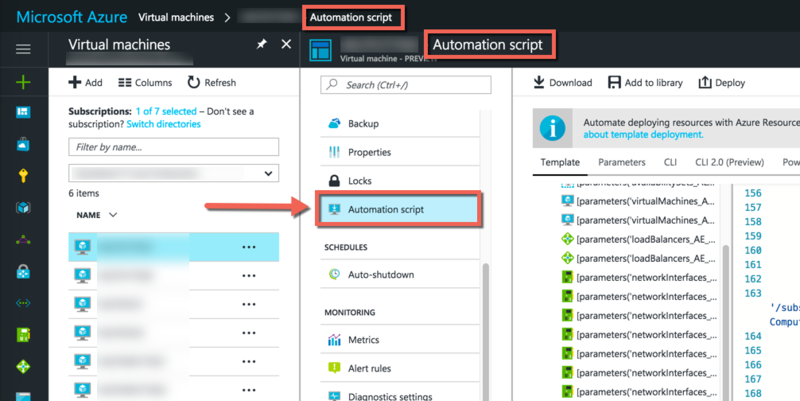 To publish something like a web server to the internet using the FortiGate’s will require some configuration on the Azure public load balancer. Let’s say I have a web server that resides on my Azure DMZ subnet that hosts a simple website on HTTPS/443. For this example the web server has IP address: 172.1.2.3. You can now create a policy on each FortiGate to allow HTTPS to the VIP you just created, HTTPS traffic will then be allowed to your web server. For details on how to create policies/VIPs on FortiGate’s refer to the Fortinet support website: http://cookbook.fortinet.com. First published on Lucian’s blog at Lucian.Blog. Follow Lucian on Twitter: @LucianFrango or connect via LinkedIn: Lucian Franghiu. I appreciate that speciality network vendors provide really good quality products to manage network security. Due limitations in the Azure Fabric, not all work 100% as expected. From a purists point of view, NSGs and the Azure provided software defined networking solutions and the wealth of features provided, works amazingly well out of the box. I have been part of the Windows 10 Insider program for some time now, and as usual the time had come around again to install the latest fast ring update 14946. However, when I went to download the update via the usual windows update channel, I found I could not download the update at all. (Or the bar showed zero progress). I started to go looking for an explanation and came across the following post on the Microsoft Forum site. I am running Bitdefender 2016 on my machine so guessed this might be the problem. Now! I didn’t want to leave my machine unprotected, so I thought I would see if I could get the problem fixed. Note: I needed to toggle the firewall module off/on before I could edit the network adapter configuration. I was running a ping to my local gateway while making changes to the Bitdefender adapter configuration in order to see when the network connection became active. Hope this helps some of you out as well.